This is a listing of the principal pages of this website. Please contact us if you can't find exactly what you need. What are the benefits of PLM software? 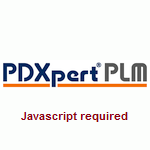 PDXpert PLM Software: Why PLM? Is software a document or a part?